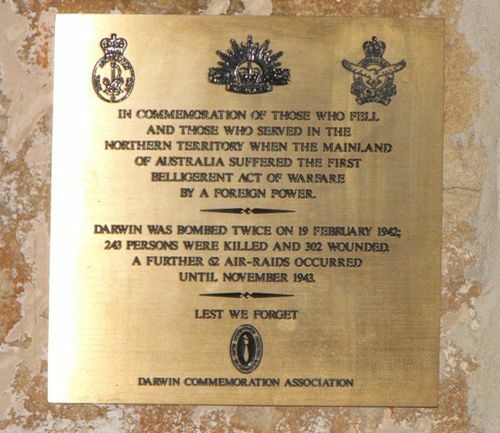 The plaque commemorates those who served in the Northern Territory when the Australian mainland was attacked during World War Two. In commemoration of those who fell and those who served in the Northern Territory when the mainland of Australia suffered the first belligerent act of warfare by a foreign power. 243 persons were killed and 302 wounded. A further 62 Air-Raids occurred until November 1943.